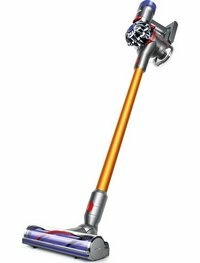 » Dyson vs Shark cordless vacuums – Which one do I choose? I currently have an (old) Henry Hoover but I’ve been thinking that a new cordless vacuum may be the best way to go. There are a number of reasons for this. 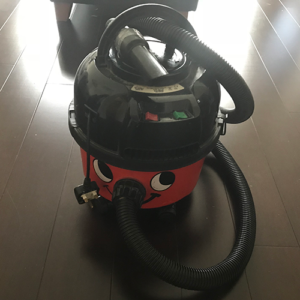 Number one, we have wooden floors downstairs and one floor is dark wood which attracts the dust and dirt very quickly and it’s a bit of a pain keep getting the Henry out every time to clean. Number two, our house is across 3 floors so we have to keep unplugging/plugging in the Henry. Number three, we have 2 youngish boys and (especially after meal times) we need to have a quick sweep up of the floor around the table. The Henry is not well suited to this task. More info: After 5 months usage, here is our review of the Shark DuoClean TruePet. Ease of use: In theory, you should just be able to pick it up and use without plugging in. The ability on some models to convert into a handheld vacuum. Slightly concerned if the cleaning heads on these would mark the wooden floors. Not sure about runtime versus the time to charge – how much cleaning could I actually get done? Power being cordless, does this mean that suction power is reduced versus corded models? Price – most models I have seen are way more expensive than our faithful Henry. Overall, it looks like a cordless model will suit my situation well, I just need to be very careful that I don’t get carried away and spend a fortune! Having looked at various brands of cordless vacuum cleaners my final two came down to the Shark DuoClean and Dyson V8 models as these seemed to have the most and best reviews. Specifically, the models I choose to compare were the Shark DuoClean IF200UK (this is the single battery, non-pet model) and the Dyson V8 Absolute. 2-in-1 motorised roller head (can switch between carpets and hard floors). Soft roller head. Motorised head. Mini motorised head. So how does each model compare on my key requirements: price, tools/functions, cleaning head, charge/ runtime? The fact that you can remove the battery and charge it in a separate charging station (that can be plugged in anywhere). The “Flexology” system – think this basically means it folds in half. Which is actually quite useful when it comes to storing the vacuum and getting under tight spaces such as beds, sofas and tables. The cleaning head contains two rollers that allow you to use both on carpets and hardwood floors without needing to change the head (you just press a button on the top of the vacuum). It can be converted into a “wand” (for cleaning high places) by operating a quick release (foot) button near the base. Also converts to a handheld cleaner with an upholstery attachment. A neat trick is that the handheld part can be connected directly to the cleaning head, essentially making a “short’ vacuum which is ideal for then cleaning stair treads. Runtime is 22 minutes after a 3.5 hour charge. 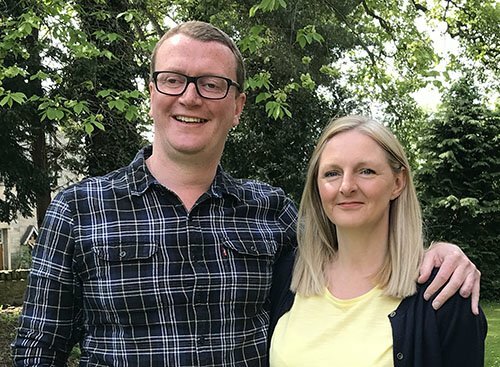 The runtime can be doubled if you go for the twin battery model, but this version will cost around another £70-£100 more. This seems quite lot to me but if you are interested then you can find more information on Amazon here about this model. Comes with a 5-year guarantee which I think is pretty impressive these days with electrical goods. So far, so good with the Shark but how does it compare versus the Dyson V8? I decided to compare the Absolute rather than the Total Clean due to price. The V8 Total Clean has a retail price of over £500 as does the V8 Absolute but you can often find the Absolute model on offer for less than £400 ( click here to check prices on Amazon for the V8 Absolute). However, this model is still probably going to work out at between £75-£100 more than the Shark cordless. Can be used on hardwood floors but it does this by having two separate heads (the other for carpet). I prefer the single head convenience of the Shark but also like the idea of a dedicated head that maybe won’t damage the floor. You cannot remove the battery like you can in the Shark. You can plug the charger directly into the handheld unit or connect the charger to a wall-mounted docking station and connect the whole vacuum to that. I like the idea of the docking station but we have nowhere in the kitchen where we can mount this, so we would have to leave the handheld plugged in and charging. I prefer the Shark’s removable battery on this point. Talking of charging, the V8 models take 5 hours to charge (1.5 hours more than the Shark)! This seems like a really long time to me. Runtime is claimed to be 40 minutes but really this only applies to the non-motorised tools and cleaning heads. The motorised ones are likely to get used more often and the runtime on these is between 20-30 mins, so bringing it in line with the Shark vacuum. Rather than click buttons to convert it to a handheld or wand, you simply pull the Dyson apart. Not sure if this is any better/worse than the quick release on the Shark. The Dyson also swivels and goes almost flat so you can get under beds, etc. but it doesn’t bend in the middle like the Shark, so you actually have to bend down with it to floor level. Not a massive issue I think but the Shark does look easier to use. I’m not 100% sure from my research if the handheld can be connected to the bigger head for stairs or you just used the “mini motorised tool”. “Only” comes with a 2-year guarantee compared to 5 years on the Shark. Overall, I think for the extra money the Dyson offers nothing more than the Shark. Watching some reviews on YouTube, the Dyson V6 seems to offer similar performance and functionality (and is lighter) to the V8 but can be bought for less than £300 which puts it more into the price range of the Shark DuoClean. Check out the V6 Absolute here on Amazon as an alternative. 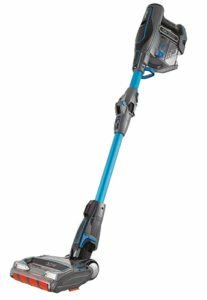 The GTech is a heavy advertised cordless vacuum cleaner that is at least £100 cheaper than the Shark DuoClean and Dyson V6/V8 models, so why did I not consider this? Firstly, it just doesn’t seem to do anything special compared to the Shark/Dyson. Yes, it can swivel and fold flat and work on different floor surfaces but that’s really all I could find. The main point though is it’s not a handheld model so I would then have to buy a cordless handheld vacuum cleaner as well. If you are interested in the GTech though you can find more information here on Amazon. Through the research, I’ve done on writing this blog post I have decided to go with the Shark DuoClean. For now, I’ll buy the single battery version as I can always buy another battery later if I need to (for £70 direct from Shark). Why did I choose this over the Dyson? 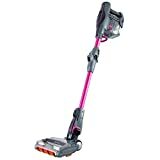 I think the Dyson V8 is actually a very good cordless vacuum but for me, the Shark offered better features that I needed (such as the removable battery charging) and is also more competitively priced. After writing this post we went ahead and ordered the Shark. We actually went for the TruePet model (IF200UKT) as this was cheaper on offer than the “standard” model even though it has a higher retail price. As it’s the pet model, it also comes with a motorised head tool for the handheld vac. After 5 months usage, here is our review of the Shark DuoClean TruePet. I have just gone ahead and ordered the Shark. We actually went for the TruePet model (IF200UKT) as this was cheaper on offer than the “standard” model even though it has a higher retail price. As it’s the pet model, it also comes with a motorised head tool for the handheld vac. Should be here in a few days so I’ll let you know how we get on with it.